Learn more about our dentists in Monroe NC. 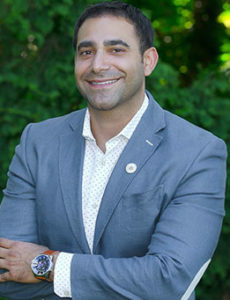 A graduate of the University of North Carolina at Chapel Hill School of Dentistry, Khalil Mjahed achieved a Doctorate of Dental Surgery in 2013. During his time at UNC Chapel Hill, Dr. Mjahed developed a love for giving back in his local community. He regularly volunteers at Mission of Mercy clinics across North Carolina by providing free dental examinations. Khalil also had the honor of participating in giving back globally by way of a mission trip to the African country of Malawi, where he provided free dental care and education to HIV/AIDS patients as well as impoverished youth. Dr. Mjahed has been proud to call North Carolina his home since 2001, when he emigrated from Lebanon. He enjoys trips to the mountains, spending his free time on Lake Norman, as well as participating in local festivals and charity events. He can frequently be found cooking, exercising outdoors, or indulging in his hobbies of photography and hiking. 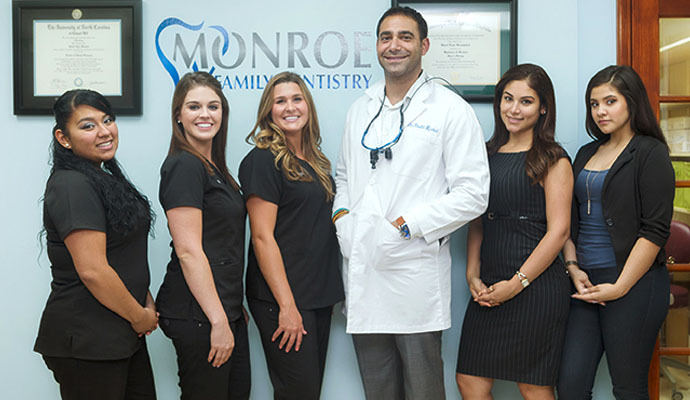 As a member of the American Dental Association, the North Carolina Dental Society, and the Academy of General Dentistry, Dr. Khalil Mjahed has made the commitment to provide the best care possible to his patients. He is passionate about participating in various Continuing Education opportunities that will enable his practice to stay on top of new breakthroughs in dentistry. He understands the importance of a strong doctor-patient relationship that is built on good communication, trust, and quality care. Rita was born in Los Angeles, California then relocated to Monroe, North Carolina by her parents when she was twelve years old. She enjoys both the city and country life, love’s dancing, listening to music, and being outdoors. Her children are her passion in life; always keeping her active. Rita has been in the healthcare industry since May of 2007. She loves seeing the impact that she can make on others by always being a helping hand. It is very important to her that she helps each patient plan for and complete their dental treatment. She feels that the most rewarding part of her job is interacting with new patients while nurturing a relationship with existing patients. Rita’s goal is to provide the best service to every patient and make sure they leave the office with a smile. 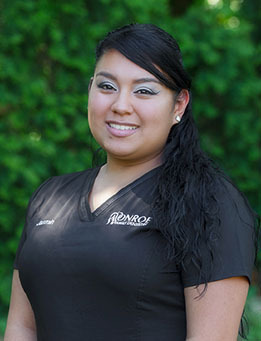 Jasmin Jauregui is our dental assistant, she was born in Sarasota, Florida and moved to Monroe NC as a teenager. 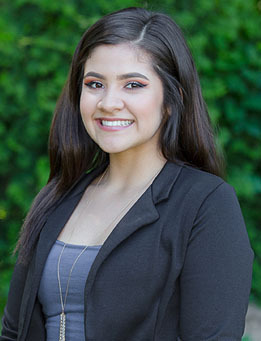 She has been in the healthcare industry since March 2008, her favorite thing about the dental field is having the opportunity to care, help, and educate our patients. Her goal is for her patients to always have a great experience at our office. She loves to interact with patients and enjoys getting to know them. You’ll always hear her voice when you come into our office for she loves to sing to every song that is playing. Jasmin is married and has two beautiful children Luis Jr. and Melanie. When she’s not in the office assisting Dr. Mjahed, Jasmin enjoys movie nights with her husband and kids. Every now and then she will make trips to Florida and enjoy a weekend out at the beach. Mia was born and raised in Charlotte, NC. She is a recent graduate of Myers Park Dental Assisting School and is very excited about new opportunities in the dental field. She has a beautiful three year old daughter named Emma. She enjoys taking her daughter to the park and playing board games. Mia feels very fortunate to be working with an amazing team and enjoys meeting all the patients. Her goal is to make all patients feel confident and satisfied at every appointment. Paige is a union county native, and grew into the passion of dental hygiene at a very young age. Following in the footsteps of her own mother. 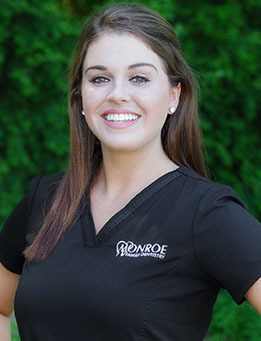 She graduated from the CPCC dental hygiene program back in 2016, just recently joined the Monroe Family Dentistry team back in February. 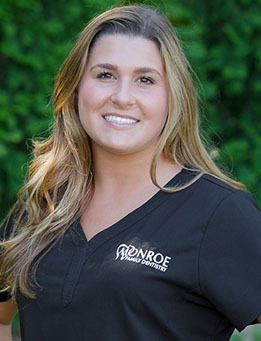 Paige is excited and strives to build relationships and deliver patients with the best patient centered oral healthcare. She is a very outgoing person. She loves to run, shoot guns, enjoys the outdoors with her nephews, and loves to cuddle with her German Shepherd puppy named Ellie Mae. 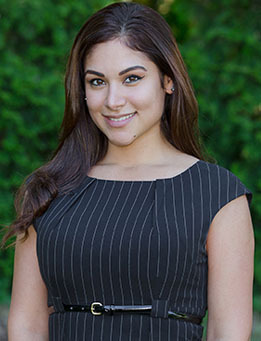 Priscilla is our patient coordinator, she was born in Los Angeles, California. She was brought to North Carolina with only 6 months of age and was raised in the city of Monroe. Priscilla love’s her Mexican culture, she’s a big fanatic of the food and music. She love’s having her nails done and is very good at doing makeup. Priscilla is new to the Healthcare Industry but she absolutely loves it! She loves being able to build relationships with every patient and help them reach their dental goal. She feels very fortunate to be a part of such an amazing team, and hopes to keep growing with them.